We reported earlier this month that the large publicly traded health insurance companies have reaped enormous profits so far in 2017. But the not-for-profit Blue Cross Blue Shield plans — the ones that have been the linchpins of the volatile Affordable Care Act marketplaces — have been doing a lot better than last year, too. 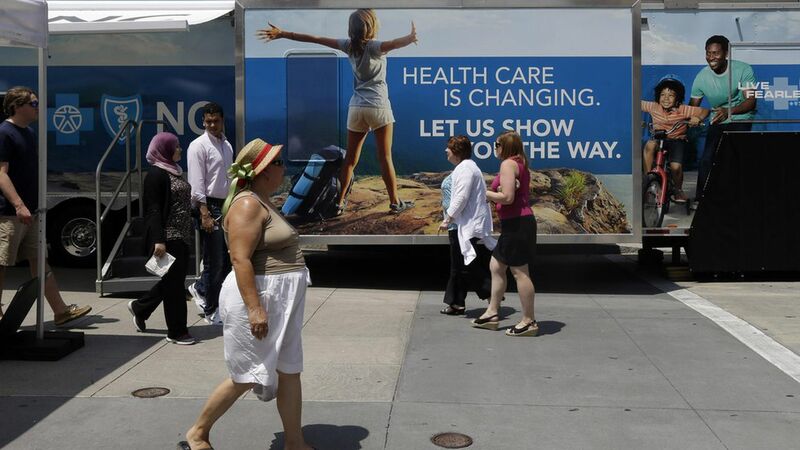 In states where a Blue Cross Blue Shield affiliate was the only ACA option, each company turned a net profit in the first quarter, according to an Axios review of financial documents. That's a big turnaround from last year, when most of them lost money. What it means: The ACA's individual marketplaces have problems, but they are not in a "death spiral," nor are they imploding. The latest financial data also indicate that many Blue Cross Blue Shield plans — even the most vulnerable — have figured out how to make money on ACA plans, and illuminate why the entire industry wants to eliminate the ACA's insurer tax permanently. The lonely Blues states: Five states have just one insurer selling ACA plans this year: Alabama, Alaska, Oklahoma, South Carolina and Wyoming. In each state, that lone insurer is a Blue Cross Blue Shield company. Those insurers have total control over the individual marketplaces, but that means they have to accept everyone — including those with high-cost medical conditions. This is worth noting again: The first quarter of the year is usually good for health insurers. Deductibles are reset, leaving people on the hook for a lot of their out-of-pocket medical expenses. It will be interesting to see how the Blues finish 2017. Fewer people have been going to the hospital or seeking care, due in part to higher deductibles. Many insurers drastically raised individual premiums and slimmed down the number of in-network hospitals and doctors. It has helped out insurers financially, but has upset people who don't receive subsidies or who lost their provider. Congress suspended the ACA's health insurance industry fee for 2017, and insurers have to account for that tax in the first quarter. That's inflating the numbers a bit, but reveals why the permanent repeal of that fee is a top priority for the insurance lobby.